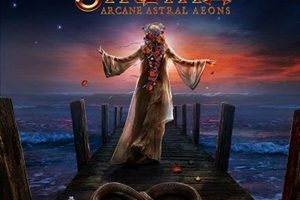 Sunday, May 14 would mark only the second day of the Arkona/Sirenia co-headlining North America tour, in which Arkona is celebrating their 15th anniversary and Sirenia is visiting North America for the first time ever. It was also Mother’s Day, which meant an early 5:30 start time for the show. I arrived at Firehouse 13 just in time to catch local openers Mecha kicking things off with heavy riffs and growled vocals. This was the band’s first ever live performance, but for a few musicians in the group it was not their introduction to the stage, including guitarist Brian Rice and the bassist, both of whom I recognized from their time in Whiskey Fyre. Mecha’s sound is much more metal than the heavy rock of Whiskey Fyre, opting to inject multiple riffs into the material while the vocalist, easily the tallest band member of the evening, barked out his snarled growl. The band may be relatively inexperienced in the live setting, having recently formed, but what they lacked in experience, they made up for with energy and got the heads banging right off the bat. Next to take the stage were Las Vegas quartet Sicocis. Combining elements of symphonic metal, melodic death metal and progressive metal, the band’s sound came off to me as a cross between Scar Symmetry and Bullet For My Valentine, with harsher backing vocals. Now some may be scared off by the BFMV reference, but I’m mostly talking about lead singer Ernie’s melodic vocals here. Bassist Travis provides a much more guttural backing vocal presence while slamming his bass strings. There’s plenty going on within Sicocis’ sound, from symphonic keys, to tandem fret-board lead runs and solos, to the dual-vocal delivery. 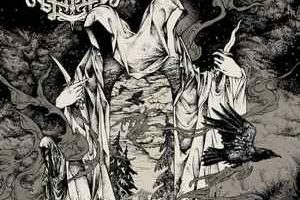 Overall, the band possesses a futuristic/space vibe that calls to mind Obscura. The band were quick to get the crowd involved, encouraging everyone to come right up to the stage, clap, headbang and chant “hey, hey, hey!” Sicocis are only on the first half of the tour, at which point Graveshadow will take over, but they’re well worth checking out, so arrive early. One of the great things about this touring package is the set lengths. Both Mecha and Sicocis were afforded 30 minutes, and Pennsylvania power/prog metal mavens MindMaze, acting as main support for the entire tour run, would get 35 minutes to dazzle with their intricate, varied prog-infused power metal, with Sirenia and Arkona each getting 75-minute sets. As fun as Arkona are live, and as rare as it is getting a chance to see Sirenia on North American shores, MindMaze were one of the bands I was most looking forward to. Having been introduced to the band a couple years ago, and fortunate enough to take part in the Kickstarter fundraising campaign they ran in support of the third full-length album, Resolve, which allowed me to acquire their full discography, my admiration for the band has only grown stronger from there. The band would only be able to fit in six songs, but their set included several highlights from “Resolve,” including “Abandon,” ballad “One More Moment” and video single “Sign of Life,” but the highlight for me was easily “Destiny Calls,” which features vocalist Sarah Teets introducing the song on flute before launching into a nearly 9-minute epic featuring a catchy mid-tempo riff, gang-vocal shouted chorus and tasty guitar lead breaks and melodic keyboard solo tradeoffs from Jeff Teets and Jonah Weingarten, respectively. Yes, that’s right, Jonah Weingarten of Pyramaze, who is joining the band on keyboards for the entire tour. His presence just adds another level to the band’s already addictive live sound. Although Sirenia and Arkona are switching who closes each show on the tour, it would be Arkona’s turn to end the evening, which meant we were next in store for a 75-minute set containing a nice mix of old and new material from the Norwegian symphonic/gothic metal outfit. To be honest, I kind of lost track of Sirenia following The Enigma of Life, but it was certainly nice to reconnect with the band throughout their lengthy set that drew from their full discography, only skipping 2004’s An Elixir for Existence. Fans had long waited for this moment and the Norwegians did not disappoint. It was clear the band was just as happy to finally tour the U.S. as the fans were to have them, as evidenced by the smiles and many “thank yous” between songs. Morten Veland’s backing vocals rasp contrasts nicely with the smoother mezzo-soprano pipes of current vocalist Emmanuelle Zoldan, who I thought handled the older material just as well as the newer songs. Hearing “The End of it All” was just as I’d remembered it. Other highlights included newer numbers, the bombastic “Treasure N’ Treason” and the bouncing rhythms of title track “Dim Days of Dolor,” as well as “The Other Side.” Let’s hope it doesn’t take too long before Sirenia returns to the U.S. 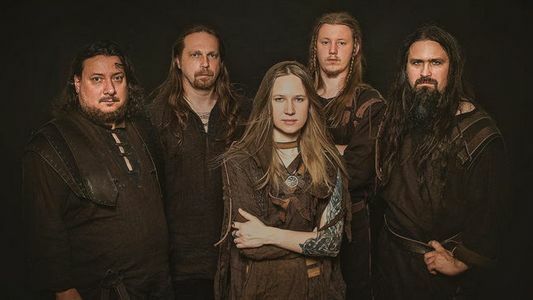 Finally, it was time for Arkona to get the bodies moving, whether having the floor open up for pit action or sending the crowd into happy dancing of jigs with their Russian folk metal. The last time I saw Arkona was during one of the Paganfest tours, which also featured Alestorm and Turisas. If there’s one thing Arkona knows how to do, it’s have fun. Whether pummeling you with double-bass, crunchy guitars and the death-growled vocals of Masha Scream or the playful folk side of the band, featuring bagpipes and a variety of ethnic wind instruments alongside bouncier rhythms, the band’s potent extreme folk metal mix is sure to entertain and get the crowd involved. No sooner had the band taken the stage, the pits opened up and the moshing and body slamming began. But just as quickly as the bodies were flying, all of a sudden fans were wrapping their arms around one another and doing a high-step dance while spinning around in circles. Those who weren’t taking over the “dance floor,” were just as engaged clapping, chanting and raising fists into the air. And just Sirenia had done with their 75 minutes, Arkona delivered a varied set referencing both old and newer material. This co-headlining run marks yet another powerful yet diverse touring package that is well worth a hit to your wallet, and one that is not to be missed. Arrive early and be prepared for an impressive evening of (mostly) female-fronted metal!